Hey there or as we say in swedish, Tja tja bloggeeen! Welcome back to my second ”Pre-Podgressive” blog. I hope that you liked the last episode and my blog post. If you are listening to my shows and reading my stuff here and are from a place where the sun is shining and the temperature is above 20 celcius. Could you send us cold and wet sweedes a sun, Please?! Remember not to wrap it in to something that might be flamable. As I told you last time about the rain.. Yeah, it has been raining since then and we are not singing in the rain!! Let’s just talk about some happy stuff and forget about the weather.. I had an fantastic surprise for not so long ago. I was participating in a contest at Facebook where the task was simple. Just share a link and then wait a while for a random winner. 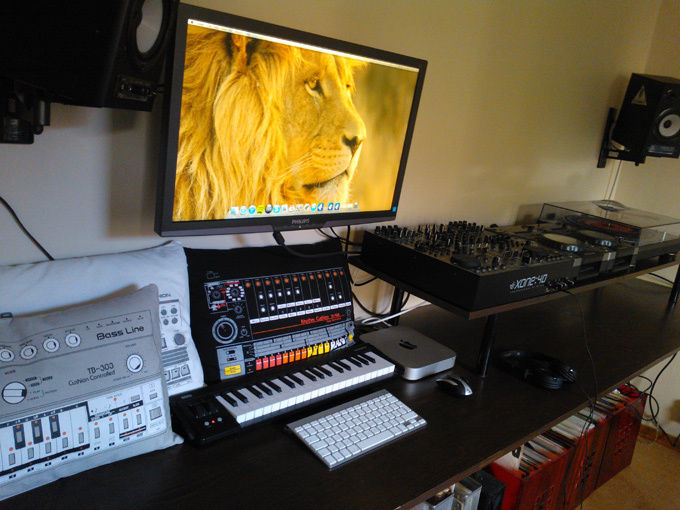 The winner got a super cool Roland TB-303, TR-909 & TR-808 pillow bundle. So one day, just on an ordinary monday in my office. I was checking out some new tweets and got a really surprised. Analog Sweden (The Company behind the pillows) had sent me a tweet and asking me to contact them and claim my pillows. SUPERFRÄÄÄSHT! That’s a pretty awsome word in swedish btw. I was talking to Patric about this and he told me to contact them again and ask if they would like to collaborate with us and have a similar contest on the podcast. Aand yeah, there will be a pillow contest in the upcoming podcast! Question Regarding Podcast Subscription – What Is It, How Does It Work? I’ve got many questions about subscriptions and I think it’s time for me to make this clear for you that doesn’t really know what it is. So, the basics of podcasting is that you can listen when you wan’t and go back and listen to earlier episodes and so on. But think that if you would like to just click a button for an automatic update when you are sitting on a bus, subway or by foot to check if there are any new episodes aviable on your favorite podcasts. Aaah! That’s the beauty of subscriptions. And the best part is that it’s really simple to set up. I bet that the majority of you have a smartphone. An iPhone, Android device or even a Windows mobile. Let’s start with the popular iPhone. Simlply click on the ”subscribe on iTunes” button on my site (Click on the button ”Tracklists and Comments” button to get all the alternatives for listening) and it’s done. Follow instructions and the podcast will be downloaded and followed. The best part is that if you subscribe to several podcasts. Just click on the update button on your iPhones iTunes and it will check for new episodes for all your subscriptions. Great isn’t it!? If you are on a Android device. Just get your favorite mediaplayer with podcast support for an example search for google listen on the google play market. Click, ”set up a new podcast” and write http://podgressive.com/feed/. Thats it! We have been talking about the interviews again. It’s always such a massive project and takes a lot of effort to get it really good. Patric and me have been planning to do some different types of them in the future. Some big and some small and more easy. Just to have them more often. Sometimes an article and other times just for the podcast. I have been following a fantastic talent and an really good pianist for some time and we just had to see her studio irl. So, this project got even bigger than before. 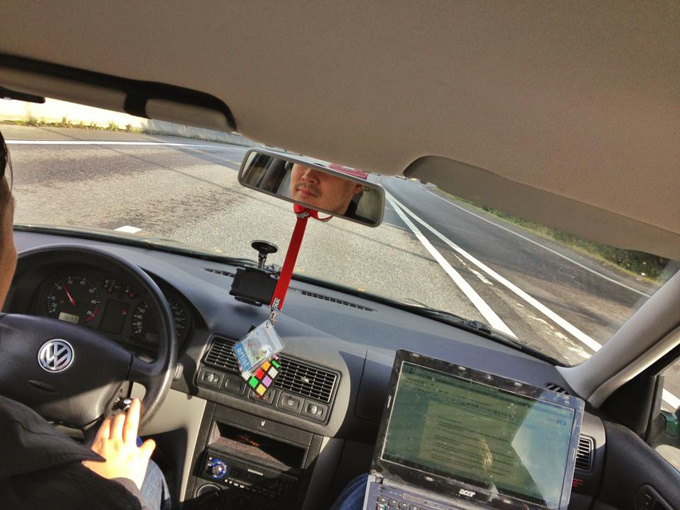 We took my car and went to Hedemora (Small town in Sweden) to visit miss Lily V Nine. I’m really looking forward to the final result that Patric is actually working on it right this moment. There will be some of that in the podcast as well so don’t miss it! So, it’s time for the monthly section where I have selected my top 10 tunes of this month. Some of them are released and some not. I’m not just after the newest stuff. This is just something that has made my month. 1. It took me some time for me to come into the right mood and decide this months nr uno. But this track is just faaantastic! It grows each and every time I listen to the tune! Jeremy Olander is a local talent from Stockholm, Sweden. He is born 1987 in the US and he’s truly a forthcoming star and has all ready a guestmix at the BBC Radio 1 show by Tall Paul. I heard this for the first time on the Eric Prydz podcast and just had to have it! 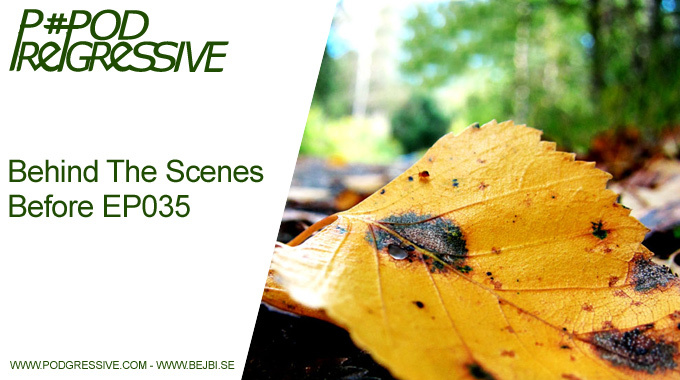 Don’t forget the release of #Podgressive EP035 on the 26th October (Share + Feedback = <3 ) and I will be back here with a new pre-podcast blog post 16th November!